Consumer affairs. 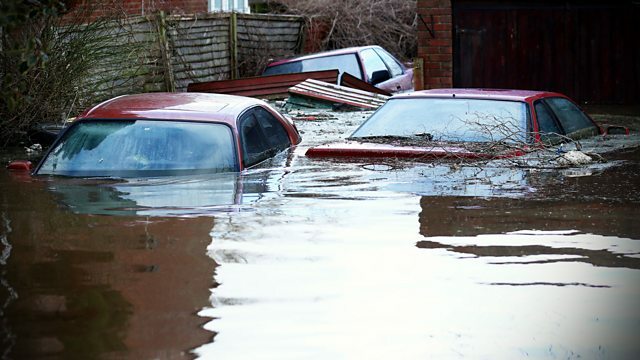 A new government-backed fund to help those affected by flooding to get insurance is about to start - will it make a difference? New research by the charity 4Children suggests that sixty per cent of childcare providers shut down in school holidays. Where does this leave working parents who don't have enough leave to cover this? How has there been a six percent drop in the number of registered providers of school holiday care when the government is investing as never before in childcare? You and Yours investigates. On April 1 the long-awaited government-backed fund to help households at high risk of a flood to get insurance begins. We talk to householders in Cumbria who are hoping it will help keep premiums manageable. But what about the small businesses and those who live in new-build homes. They're currently not part of the new scheme. How will they fare? Buy-to-Let landlords are facing tax increases on the properties they rent out. The aim of the changes is to free up properties for first-time and other buyers who need a home. But we've found that rent rises have been the unintended consequence. Is this a policy that's going to backfire? Call You and Yours: Are apprenticeships worth it? BHS agree a Company Voluntary Agreement. What does the decision mean for the store? How easy is it to find childcare provision over the Easter holidays? Will the introduction of clause 24 really mean tenants have to pay more?